World Text are pleased to announce the ability to Send and Receive SMS Using the World Text SMS Google Sheet, including delivery status of outbound SMS. This new method for sending and receiving SMS using Google is with thanks to a project shared by a customer. All these SMS features are directly from your Google Sheet and does not need any special software or subscription, only a Google account, an internet connection and a World Text account with credit on it and a dedicated Virtual SMS Number (aka Long Code, Virtual Mobile Number etc.) if replies are needed. To use the World Text SMS Google Sheet you’ll need to create a World Text account if you don’t have one already, and also have a Google account. Request a link to the World Text SMS Google Sheet from us here. 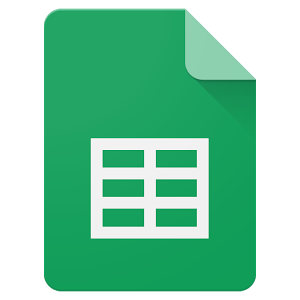 You will need to make a copy of the World Text SMS Google Sheet to your own Google Drive in order to be able to edit and enter your own information. The World Text SMS Google Sheet is commented throughout, and we’d be happy to help if you have any questions. Please be aware, while every effort has been made to confirm the functionality of this Google Sheet, it is a customer supplied resource and is reliant on third parties (Google) to work which can be liable to change. No warranty or guarantee is expressed through the offer and use of the World Text SMS Google Sheet, customers are advised to verify success before live use. E&OE.